Sleep is something we all need. As the author states,”Birds do it. Bees do it. Salamanders do it. Even round worms do it. Bats do it hanging upside down. Sea otters spiral downward like falling leaves. Dolphins do it with one eye open. ” She states too, “Sleep is a requirement living on earth.” Sleep assists us with many things, including giving us the energy, strength and assists with many bodily functions. Some of us get more sleep than others, some less than others and are still able to fill rested the next day. Others may struggle with insomnia or other forms of sleep problems. This book was very well written and well researched by the author. Just looking by the author’s list of references in the back of the book, you can see that she used many different sources of books, websites and articles from magazines or journals. The author covers almost every there is to know about sleep. The reader will learn about the different stages of sleep: falling asleep, REM sleep, Slow wave sleep, in between sleep cycles and waking up from sleep. The book talks about different sleep disorders, insomnia-causes of insomnia and different sleep drugs. There is a deep discussion of dreams, different cultures views of dreams and how they are a representation of our inner selves or the views that dreams can tell us about our future, etc. The book talked about the history and theories behind sleep, the different cycles, about dreams and much more. The book also included parts of different lullabies or folk tales associated with sleep. The author then explained how or why a lullaby was written or related to sleep. These are only some topics in the book as there is much, much more in the book. I was very impressed with how well researched this book was and about how much information was included in this book. I learned things that I never knew before. 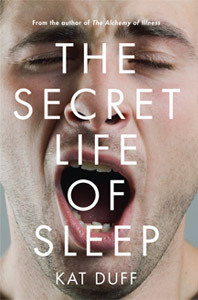 Pick up this book and experience, The Secret Life of Sleep!